Year: 1952 Item #: 1158 Views: 4,034 Comments: No Comments. 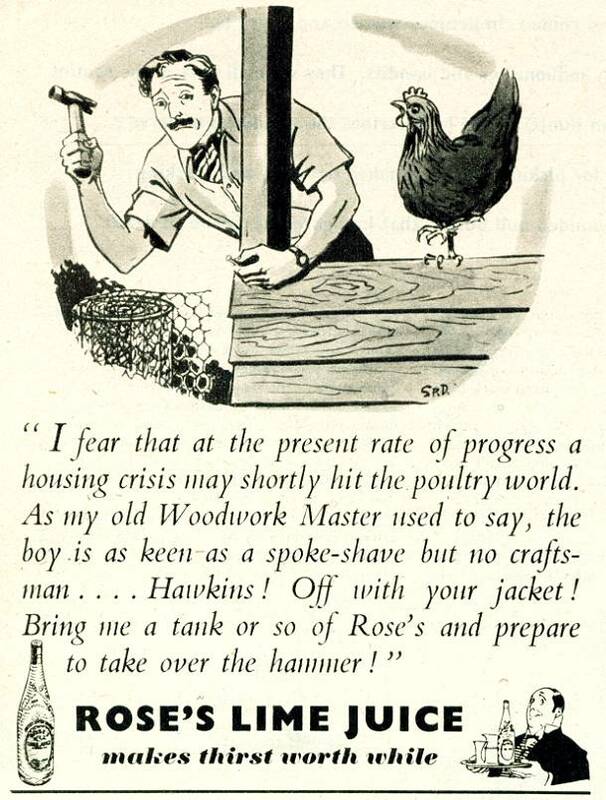 "I fear that at the present rate of progress a housing crisis may shortly hit the poultry world. As my old Woodwork Master used to say, the boy is as keen as a spoke-shave but no craftsman... Hawkins! Off with your jacket! Bring me a tank or so of Rose's and prepare to take over the hammer!" - Rose's Lime Juice makes thirst worth while.